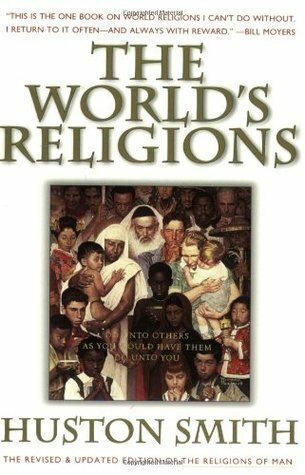 Originally titled The Religions of Man, this completely revised and updated edition of Smith′s masterpiece, now with an engaging new foreword, explores the essential elements and teachings of the world′s predominant faiths, including: Hinduism, Buddhism, Confucianism, Taoism, Islam, Judaism, Christianity and the native traditions of the Americas, Australia, Africa, and Ocea Originally titled The Religions of Man, this completely revised and updated edition of Smith′s masterpiece, now with an engaging new foreword, explores the essential elements and teachings of the world′s predominant faiths, including: Hinduism, Buddhism, Confucianism, Taoism, Islam, Judaism, Christianity and the native traditions of the Americas, Australia, Africa, and Oceania. Emphasising the inner -- rather than institutional -- dimensions of these religions, Smith devotes special attention to Zen and Tibetan Buddhism, Sufism, and the teachings of Jesus. He convincingly conveys the unique appeal and gifts of each of the traditions and reveals their hold on the human heart and imagination.